I’m A Celebrity… Get Me Out Of Here! 2018 host Holly Willoughby, 37, took to her Instagram to announce the return of Dancing On Ice in January. The ITV series returned to the channel after a four-year break earlier this year and saw Holly and her This Morning co-host Phillip Schofield, 56, reprise their hosting duties. Expressing her excitement for the return of the show, she shared the teaser clip of the upcoming series which sees two polar bears learning to skate across a frozen lake. Many of her social media fans flocked to her page to comment. The show’s line-up so far consists of former Strictly Come Dancing professional James Jordan, Love Island’s Wes Nelson, Coronation Street Jane Danson, Gemma Collins, TV host Saira Khan, Richard Blackwood, cricketer Ryan Sidebottom and Mark Little. 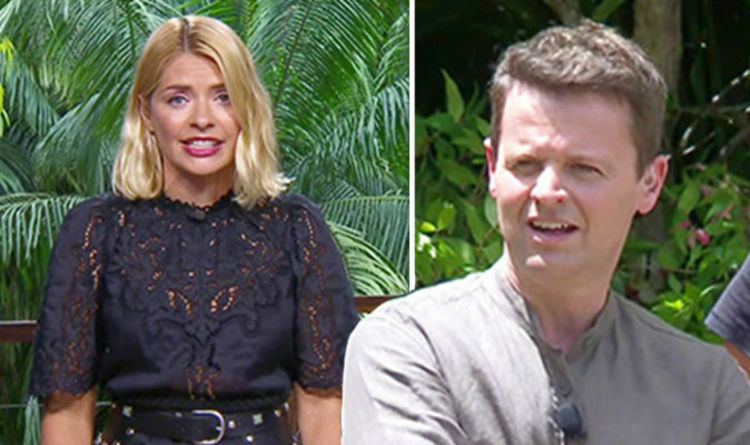 Elsewhere, Holly is currently presenting I’m A Celebrity… Get Me Out Of Here! 2018 for the first time in Australia. The mother-of-three stepped in for veteran host Ant McPartlin, who is currently on a break from his work commitments to prioritise his health. After a recent episode, Holly was criticised for her changing hair colour from being in the sun. Holly has since shared a picture of her topping up her roots on her Instagram page. The presenter shared a snap of her face-timing her cat while getting her hair done. The blonde beauty went make-up free as she beamed for the camera, giving viewers a glimpse of her hair touch-up. I’m A Celebrity… Get Me Out Of Here! continues tonight on ITV at 9.30pm.